The minute I saw this nursery in Ohdeedoh I fell in love. I adore its feeling, its style, its boldness (black in a nursery? Who dares?). It screams modern and cool to me. I saw a couple other nurseries inspired by this room and they were as beautiful. That’s what I want I thought. But being the indecisive person that I am sometimes, I thought I should continue looking for more inspiration. And like I said before, oh my, the inspiration is everywhere. Some of my favorite sites to spend time on were Ohdeedoh, Spearmint Baby and Project Nursery. Baby-related sites were not my only source of inspiration. Sometimes I’d translate a color scheme I saw on a living room into the baby’s room. As you can imagine, the possibilities are endless. This time I was hooked on all-white nurseries with touches of bold colors. The first color that came to my mind: orange. I like orange. It’s not my favorite color but I always gravitate to it when thinking about interiors. The first place I decorated (my room in my parent’s house) had some tones of orange. When I was sharing an apartment I also redid my room in orange, purple and white. And now in our house I painted one wall in our bedroom orange (we just painted gray, but that's another story). Anyway, going back to the point. 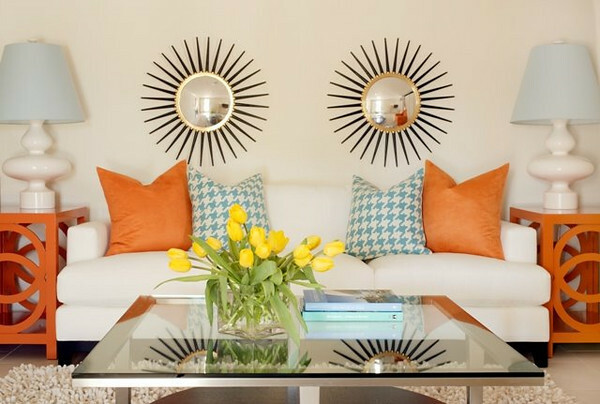 I thought a white-orange combo would be modern and joyful at the same time. And you would think I finally made up my mind. Well, no. But this time I was not looking for inspiration. It just came to me. 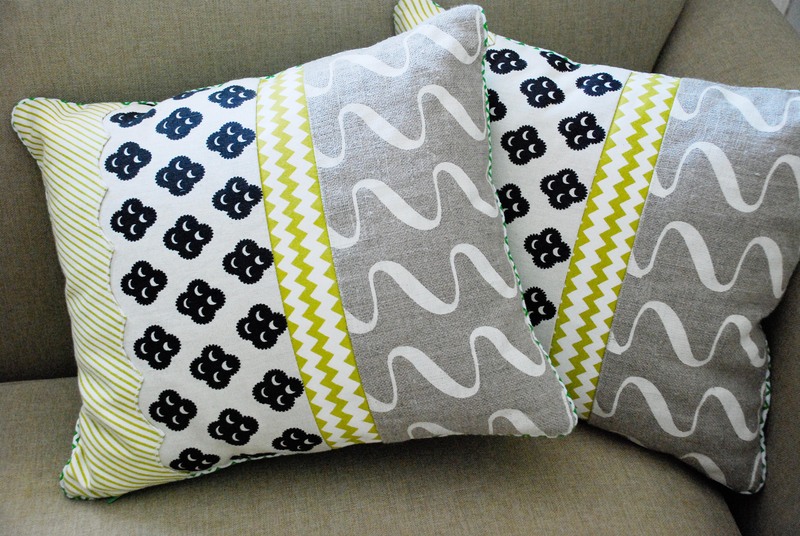 While doing some Christmas shopping I scored these two Anthropologie pillows. I loved the colors (and they were on sale so I made them mine). The lime green and gray, with little black accents. I just loved them. I bought them for our living room but while looking at them I couldn’t stop thinking: wouldn’t this be a wonderful color scheme for a nursery? So there I was, with three color schemes in my mind. I couldn’t decide and the mister was no help either. So I thought creating mood boards would help us make up our minds once and for all. Do you think we made a decision already?